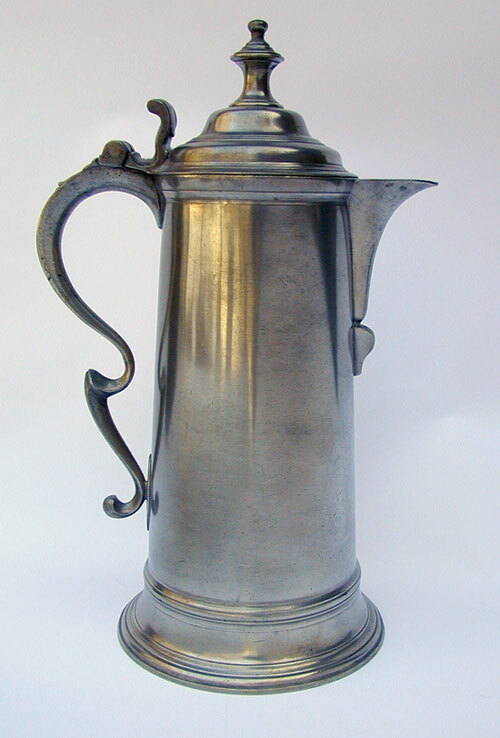 This magnificent 14" tall flagon was made using the body and base molds previously used by Thomas Carpenter a mid 18th century London Pewterer. This flagon has a solid "chair-back" thumbpiece with a raised shield. 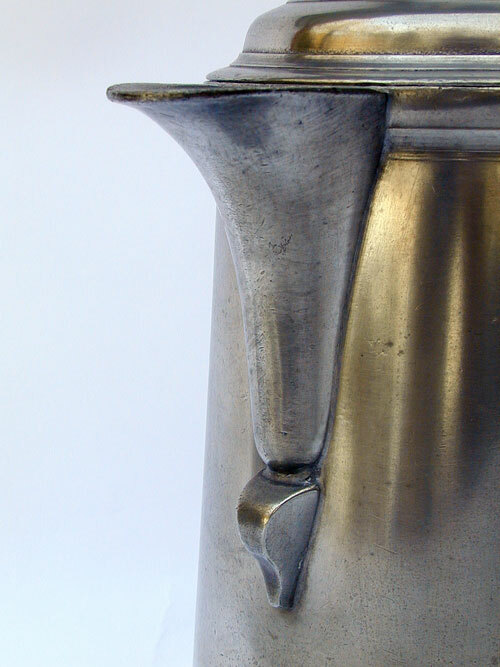 Later examples of this type flagon employ the open "chair-back" thumbpiece. 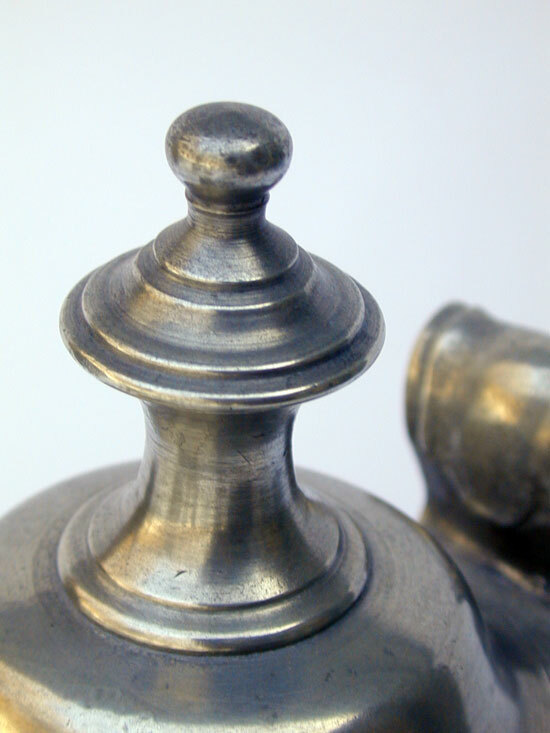 The heavy finial is also typical of a late 18th century flagon. 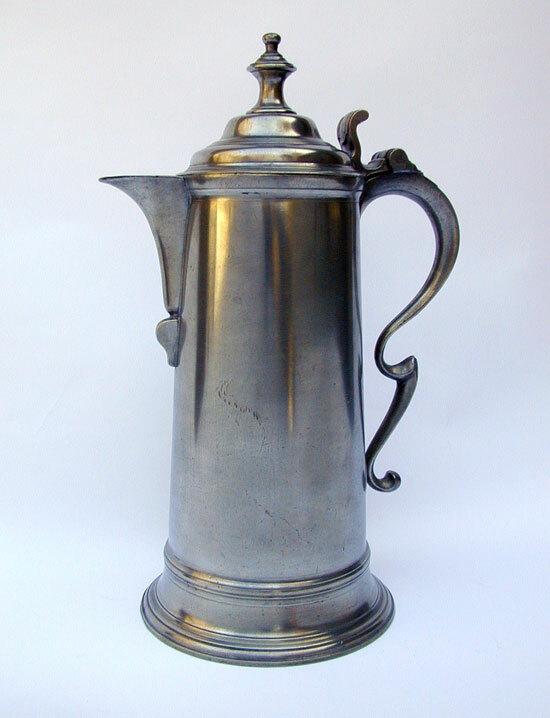 The flagon dates circa 1785-1810. It is in fine condition. It is unmarked as are many flagons of this period. Note the plain drum on the body without fillet. 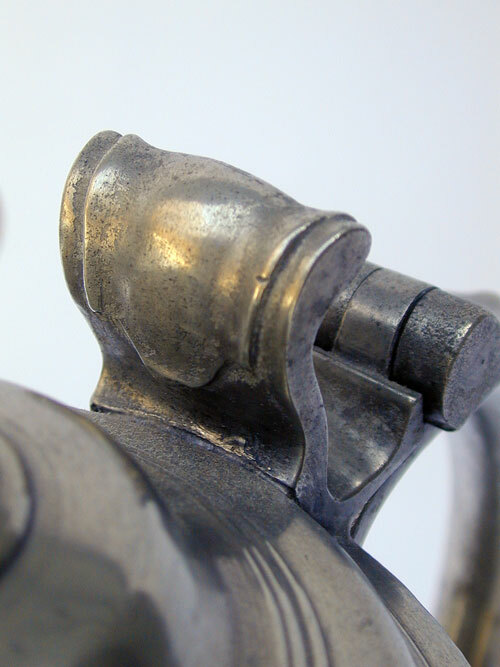 This is considerably different from the heavy turned fillets found on earlier flagons by Carpenter, Newham, and Shorey.